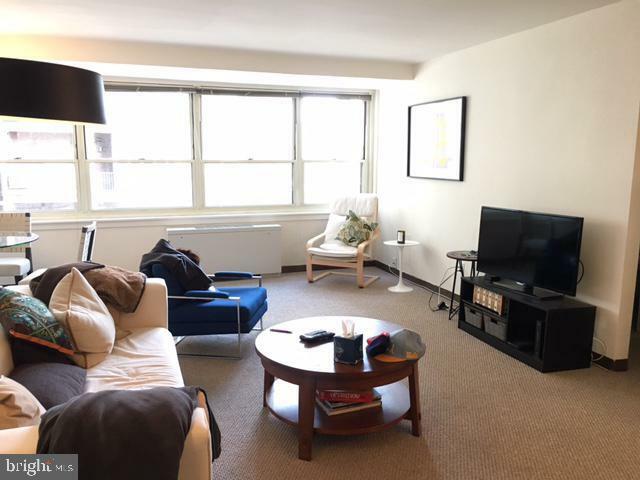 Live in a sun-soaked 2 bedroom on Rittenhouse Square! This well-laid out and efficient floor plan features an open living and dining room, kitchen with excellent cabinet and counter space, and two generously sized bedrooms. There is great closet space and wonderful natural light, thanks to 2 walls of windows. Located on the south side of Rittenhouse Square, The Savoy offers its residents a 24 hour doorman, fitness center, and central location within steps from some of the citys best shopping and dining!